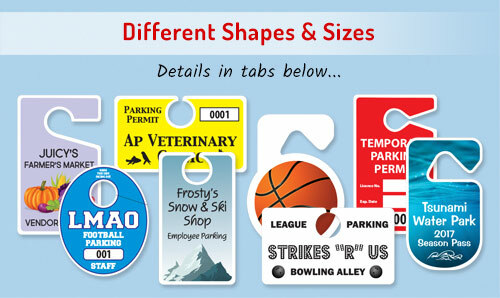 Our Parking Permit Mirror Hang Tags are made from tear resistant .030 ABS plastic. Full colour digital printing, will not fade for 3 years. 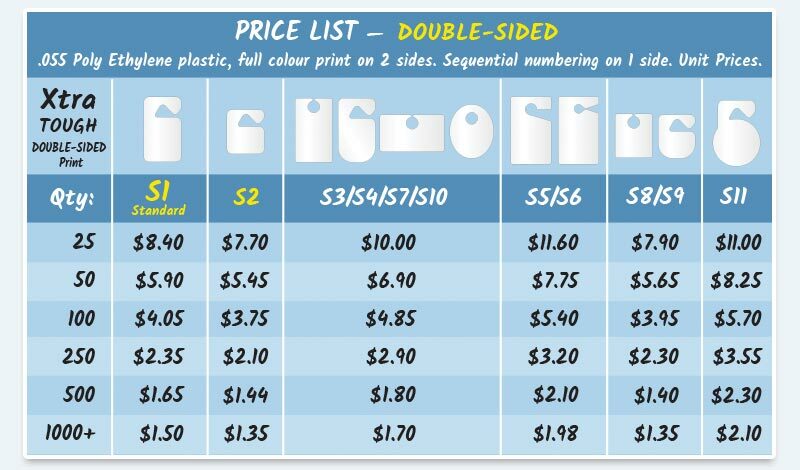 High quality, bright inks are printed directly to the plastic. 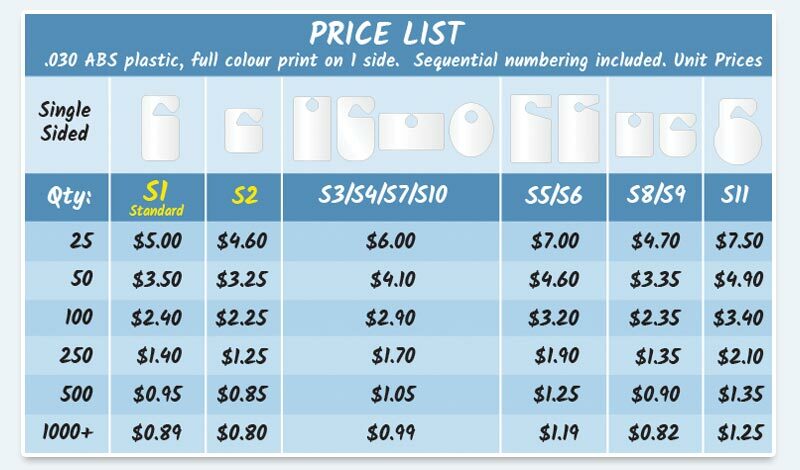 No extra charges for sequential numbering. 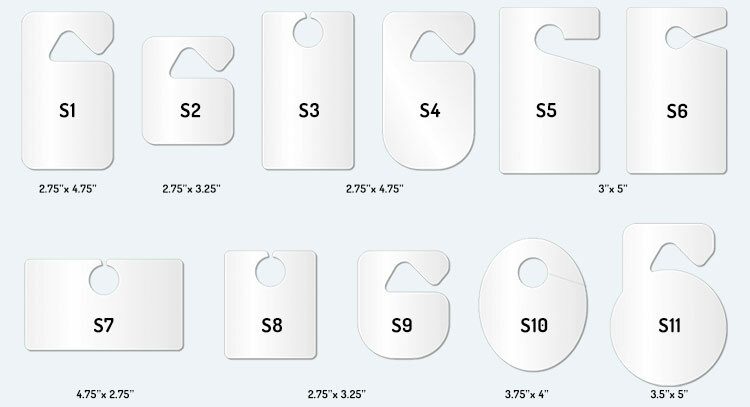 Pricing on the right is for our Standard S1 parking tag pictured above. 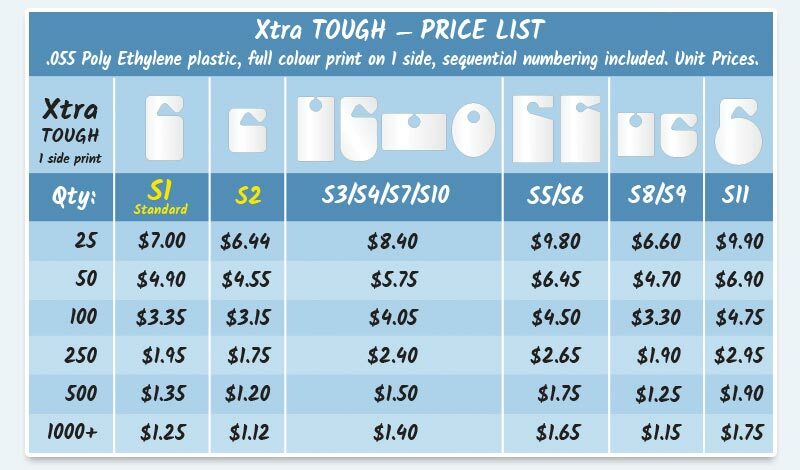 See our PRICE LIST for more options including double-sided print, security features, different shape & size options, and our Xtra Tough tags. Contact us if you would like us to send you a free sample. 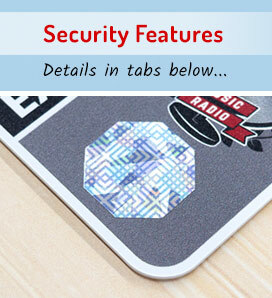 As a security feature, your parking permit hang tags can have iridescent vinyl decals applied to help prevent copying & conterfeit. 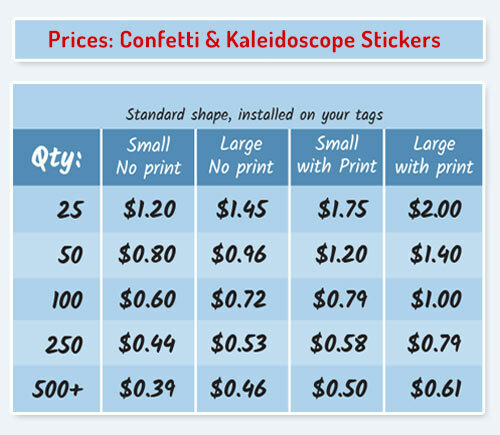 The Kaleidoscope & Confetti patterns reflect light at different angles, and can't be reproduced on a printer. 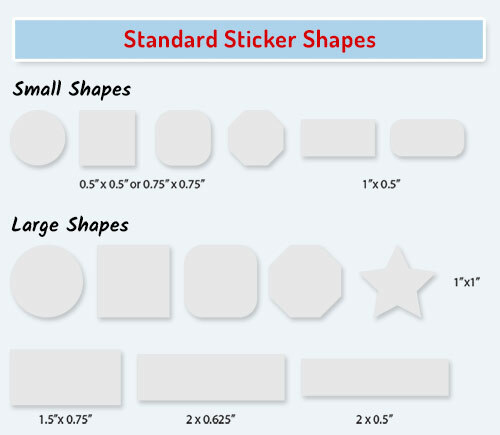 These stickers are available in standard and custom shapes. 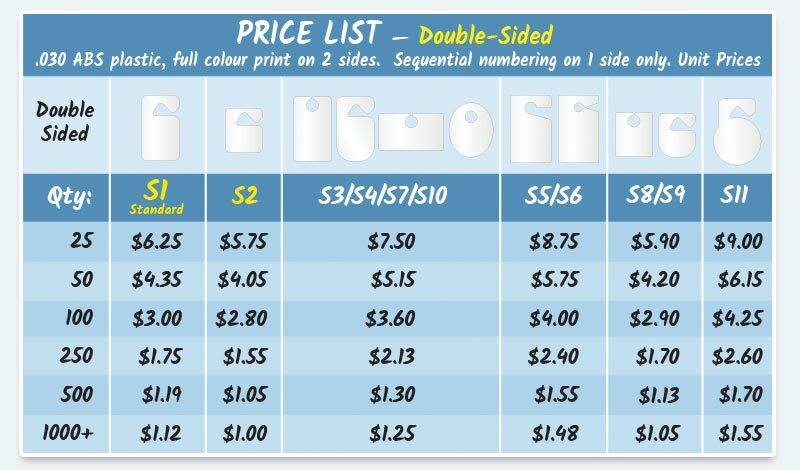 For added distinction, they can be custom printed in full colour & even with white ink. For the best tamper protection, your parking tags can be laminated after the security stickers are applied, making the impossible to remove without obvious signs of tampering. 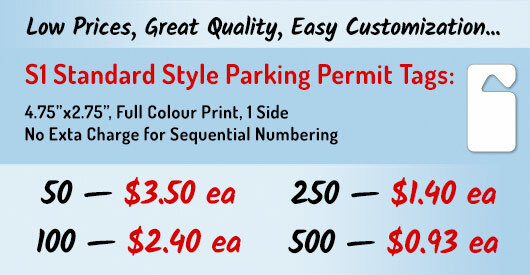 Xtra Tough Parking Permit Hang Tags - Our Xtra Tough hang tags are the most durable in the industry. 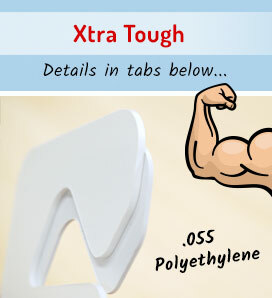 Made from thick flexible plastic, you can literally drive tank over them. Excellent for heavy use applications, such as temporary contractor permits, where frequent handling and abuse is expected. These tags are used by the Canadian Armed Forces.